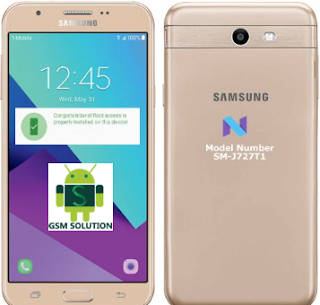 Home / Samsung Galaxy J7 Prime (MetroPCS) SM-J727T1 Stock Rom File. / samsungfiles / Samsung Galaxy J7 Prime (MetroPCS) SM-J727T1 Stock Rom File. Samsung J7 Prime SM-J727T1 Stock Rom File. Samsung Galaxy J7 Prime SM-J727T1 Stock Rom File. 2# Download Samsung J7 Prime SM-J727T1 Stock Rom. 3# Note: Always chake firmware file verson then download same stock rom. How To Flashing Samsung J7 Prime ? 2# Extrack download stock rom. 4# Connect your phone on download odin mode. 5# Connect usb data cable to pc. 6# Select stock rom on odin tool(ap,cp,csc,bl). 7# Few min weating flashing process. 8# After flashing complite remove data cable and click power on buttion. 9# Now your phone Custom Binary Blocked By FRP Lock Fix.